* "I now have confidence that I could defend myself." * "I learned to stay alert, consider potential threats, take preventive action." 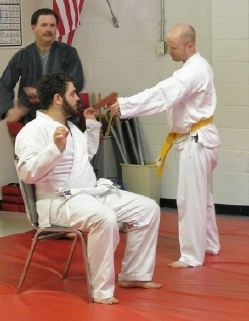 * "Excellent Japanese ju-jitsu training." * "What I learned here has been indispensable to me in my career as a public-safety official." * "Your guidance coupled with [our son's] home life is what we wanted in rearing our family." 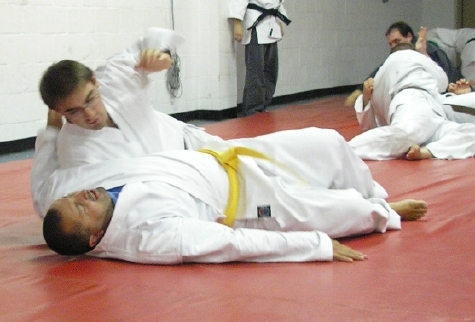 Ju-Jitsu Dojo of Columbia is no longer offering classes. However, we are still available to hold self defense seminars, talk to groups about self defense, and other things of that nature. Contact us to set up a seminar or talk, or to discuss something else you have in mind that is in line with our focus and training. Feel free to look around the site so that you know our background and focus, and thus what we would address during a seminar or talk. 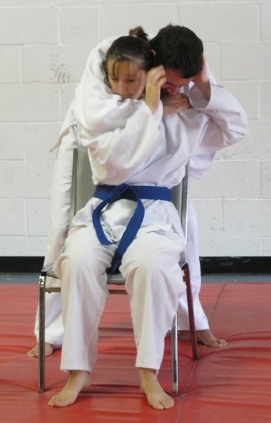 Looking for an established traditional martial arts school which offers practical self defense training, and is not interested in competition? You've come to the right place! 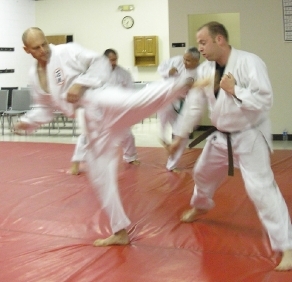 Since 1990, Ju-Jitsu Dojo of Columbia has provided Japanese ju-jitsu-based, practical self-defense training to men and women from all walks of life. Current and former students consistently remark that the type and quality of training we provide is very difficult to find. come train with us. No prior experience is required. Individuals of all sizes and ages, including those with disabilities, train here - so can you! We also offer youth classes, where our younger students develop situational awareness and learn the fundamentals of self-protection. Good values and character development are also an integral part of our training program. * That which cannot be "unseen"
© 1990-2019 Ju-Jitsu Dojo of Columbia, Inc.